if you want to give an elegant look and protect your privacy and security. as they come with an easily operated cord to lift or regulate the setting. do you need roller blinds? interior look to your house. your house in an affordable way. -Light and privacy: You have to decide upon how much light and privacy you need for your room. Your decision may vary according to your requirement. These factors affect the styles and fabrics you choose. -Your budget: Fixing your budget is very important in choosing affordable roller blinds; it affects your choice of patterns, fabrics, and features. -How much maintenance you can do: Standard blinds need frequent attention though is easy to clean. Having textured fabrics and weaves roller blinds require vacuum cleaning or professional cleaning. -Your beautifying style: The choice of colours, texture and styles completely depend on your personal likings. -Safety: How much safe you want your roller blinds to be, do you want your children need streamlined cordless blinds. Wider horizontal slats: They create an illusion of larger windows and give a spacious look to the room. 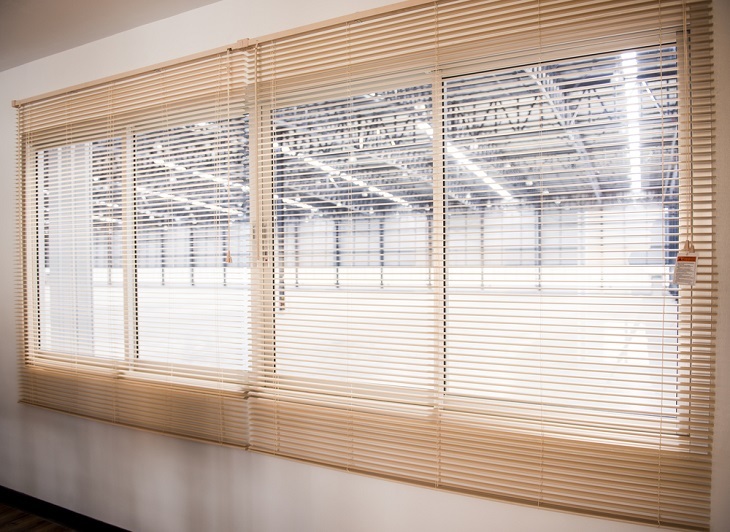 Vertical blinds are specially designed for wider windows or picture windows or across sliding glass doors. size. Consultation helps in picking correct blind for your window. blind or an outside-mounted style. different available colours, patterns and material. sides of the window where the head rail brackets have to be fitted. the head rail, mark the spots where the backing brackets are to be anchored. the marked points to fix the head rail and support brackets. screws. Check for the perfect alignment of head rail brackets and screws. are installed, attach the blind to the head rail. wand to the window blind. Tilt wand helps in raising and lowering your blinds. the process given in the leaflet.